The natural world expresses its beauty through color. Yielded from the earth, the colorful forces of foliage and flowers have inspired the works of musicians and artists for centuries. Fruit, the consumable product of flowers*, exhibit striking colors found in the monumental works of artists like Mexican painter, Frida Kahlo. Mexican artist Frida Kahlo is renowned for her self-portraits, thematic works of pain and passion, and her use of bold, vibrant colors inspired by nature**. Kahlo’s signature look was highly symbolic of her love for and connection with her hometown of Coyoacan, on the outskirts of Mexico city. Her powerful eyebrows, embroidered dresses and braided hair adorned with flowers were all reflective of the artist’s admiration for Mexico’s rich culture and history. The flowers and foliage often seen in Kahlo’s self-portraits were picked from her garden in Casa Azul, where she spent most her life. The Casa Azul, or Blue House, was the home that Kahlo shared with the amor of her amores, muralist Diego Rivera. There they collected Mexican art and antiques, transformed the garden and decorated with colors that reflected vibrancies of rich Mexican history and native plants surrounding them. neutral7's creative director and founder, Albey Coronel, who's heritage is also directly linked to Mexico City, recently visited La Casa Azul. Touched by the love and tumultuous nature of Kahlo and Rivera’s relationship, Albey felt inclined to share the experience through a photography project and create an aesthetic with a nod to their shared heritage and stunning colors found in the area. Ideas for neutral7’s recent Kahlo-inspired photoshoot also has a soundtrack of inspiration. Drawing from Kahlo’s pallette, Caloncho also looked to the vibrancy of fruit as fuel for his summer-ready album, Fruta. 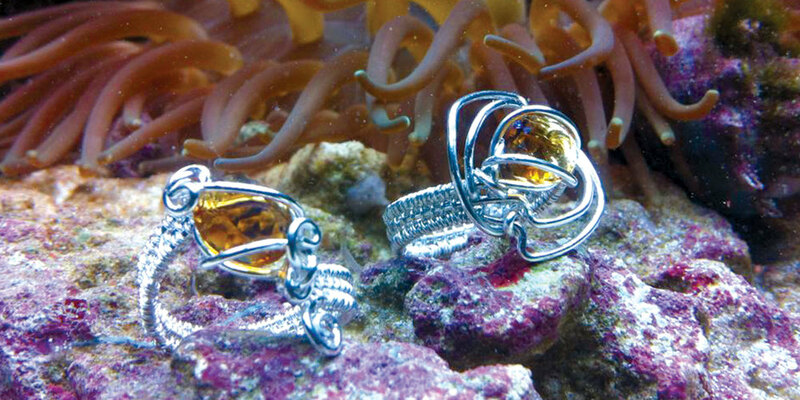 The tracks evoke ideas of sandy beaches, tropical foliage and blooming flowers. Listen our Amor de Mis Amores playlist while you check out the full spread for the ultimate experience. It's been a full year since we became members of the 618 @SOMA community. In that time, our team has set roots in our newfound surroundings, and explored the ever-evolving ethos that is the downtown Gainesville area. We've also gotten to know our neighbors: LEJ Pretzel Co., Portal Realty, Gainesville Arts Studio & The Freewheel Project. To mark the occasion, we thought we'd share the culmination of a year of craft, gusto and creativity. Bring our office to yours and enjoy our digital open house. Spaces are our forte. We saw our conference room as an opportunity to express the magnitude of our print capabilities. The entire space centers around our oversized, 12ft x 8ft stretched banner print. The deer design is a collaborative piece by our own Albey Coronel & Rick Bales and is available for purchase here. Alongside digital prints, we utilized the space to showcase the opportunities with digital dynamic signage. This swiveling monitor is great for meetings, web conferences, or promoting with active visuals. Across the room is our refurbished record player with custom graphic printed speaker doors. We can often be heard off Main St, doors open, bumping some sweet jams. Our office space has a huge open floor plan. At 14ft high, our vaulted ceilings give plenty of space for open air and a fresh breeze. We love the aesthetic of the white brick and have used the space as a canvas for plant accents, hanging artwork and natural woodgrain textures. Our huge stretched banner print isn't just for show. The massive surface area serves to break up the space between our conference room and work area while buffering noise from the shop. We've also installed writable calendar signs to keep us on top of those ever-creeping deadlines. Our standing desks are 100% custom and built in-shop. They are totally modular and mounted on hearty casters for easy movability. Overhead track lighting and a two-tier desktop serve as a perfectly lit and decluttered workspace. From development and strategy to design and production, it all starts here in the brains of the operation. A clean shop is a happy shop. We see organization as an obligation not only to ourselves, but our clients. Over our nearly 10 years in business, we've learned a thing or two and compartmentalized our whole production process form start to finish. 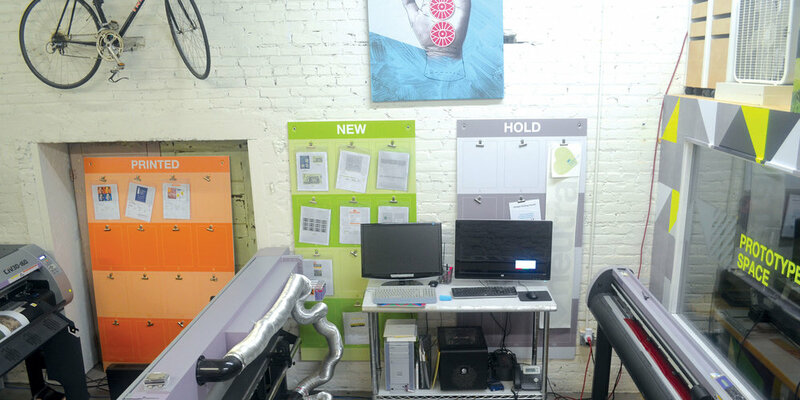 Our production area is the heart of our business housing multiple large-format printers, plotters & tons of specialty equipment to create dramatic visual prints. As with the rest of our shop, we've covered the walls in made-in-house artwork from our recent show. We design it & we build it. More than a motto, it's a way of life. 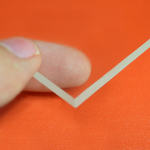 We have a wide range of materials & production process with nearly limitless applications. Our prototype room house our large format, mechanical CNC router along with all sorts of fabrication saws and drills for unique cuts and builds. Our material racks are stuffed to the gills with the latest in signage materials from high-quality vinyls and laminates to hearty substrates and composites. Whether you need a brand designed, a display printed, or want to completely renovate your space, our multidisciplinary team has the experience and grit to get it done on time and in style. Contact us today for a consultation! 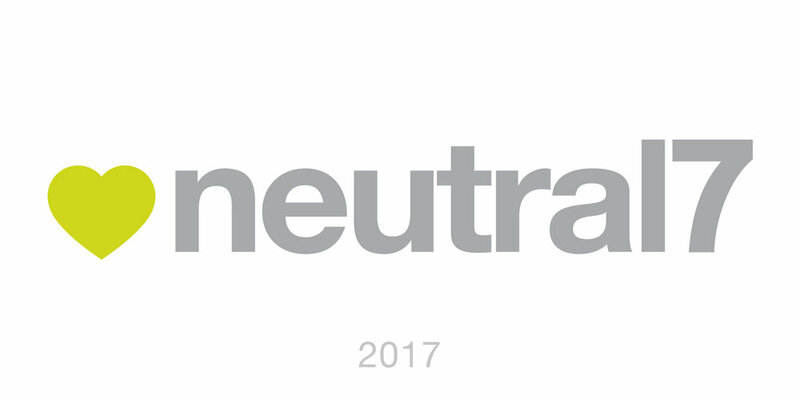 neutral7 design group has been serving the North Florida area in graphic design, branding and print production for over 10 years. In that time, the aesthetic of the n7 brand has remained relatively consistent. With a simple palette of green, black and gray, the look has varied little over the years. To celebrate a decade in business, we recently updated our brand identity. The goal is to reflect our passion for creative work, the diversity of our staff, and our unique efficiencies as an agency. We wanted to evolve, not change, retaining a familiar feel while creating a look that’s new and refreshing. White space is utilized heavily in the new brand alongside seven distinct color swatches signifying the multitude of products and services neutral7 offers. This gives an open and “airy” feeling to the materials and takes the focus from any one color in particular. This is especially helpful when presenting clients with a new design, as it allows us to make their materials the central focus. With a new, wider color palette and streamlined logo, we set out to develop a suite of materials to accompany these assets. We started from the ground-up, creating a collateral package centered around the colorful palette. Alongside our printed materials, we created a new website to showcase our work, give voice to our company culture, and provide information regarding our products and services. Our web presence is driven by the palette, using color selectively to signify different sections of the site. We carried the same use of white space to bring in an element of clean, minimal design. The interior design of the shop is heavily influenced by the assets established in the new brand. Our new space features huge, vaulted ceilings atop white textured brick walls. Naturally, we’ve used the huge white space as a canvas for colorful and inspiring artwork. This echoes the white-to-color balance seen in our collateral and other materials. With the slightest shift to cooler weather, we run out to sport our newly inspired layers. Sooner than later however, the perpetual heat springs back into action giving us eighty-degree holiday gatherings. This brings the opportunity to jump start upcoming warmer looks in the months to come. 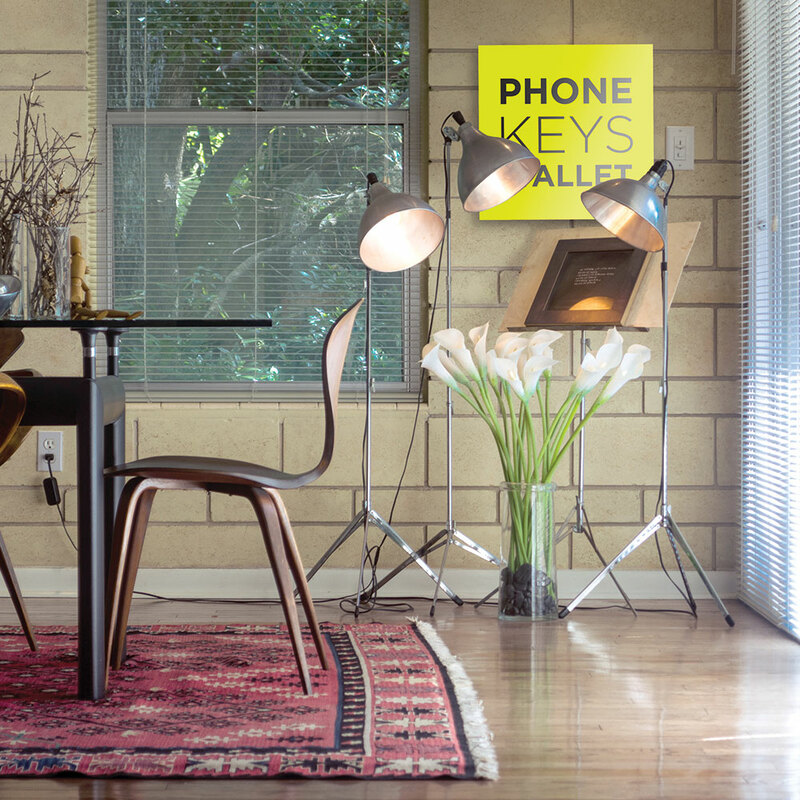 A warmer winter at a Gainesville mid-century modern home served as the backdrop for our recent Gainesville Fashion Week photo shoot. The fashion spread featured in the December/January issue of HOME Magazine highlights the launch of our new collection shop featuring ready-to-go interior design products. Cozy fur textures and lush green plant patterns meet vivid pops of color in our Warmer Winters inspired collection. We wanted to make some of our favorite interior design products accessible for everyone. Our shop collection features wall murals, decals, art prints, and wall hangings. Take a peek at the Warmer Winters collection and then check out the rest of our new interior products! Launch! 2016 Leadership Summit is a flagship event featuring national top business leaders for a compelling day of leadership, sales training, motivation, and inspiration. neutral7 was approached to develop a logo & branding strategy for both the inaugural 2016 event and the program at large with a focus on positivity, professionalism and education. As a first-of-it's-kind event with no prior materials, Launch! '16 was uniquely positioned to hit the ground running with a cohesive, professional identity design and laser-focused marketing strategy. In addition to a light branding guide, neutral7 developed the architecture for executing the annual events for years to come. The materials developed in the branding guide were displayed in conjunction with bright, corporate photography and a series of marketing copywriting curated by our team. This messaging was used throughout the print and digital campaigns. neutral7 also designed and produced a series of promotional materials including event posters and retractable banner stands. The blue and green elements laid the groundwork for the bulk of the layout while full-color photography and complementary colors were strategically peppered throughout. The materials developed in these initial executions all coalesced in the curation of a custom parallax minisite to promote the event, feature keynote speakers, and direct users to a digital ticket sales platform. Event sponsors were featured in a dedicated section that linked to their respective websites by sponsorship tier. You can check out the full site here. Do you have a similar project? Contact us today! We have been at our new shop on South Main for a couple of months now and we are finally getting settled. After weeks of rearranging our furniture (and building some new stuff), we now feel at home in our new space. We have had a chance to explore the neighborhood (YAY! We can walk to Starbucks and Daily Green!) and we cannot be happier with our new surroundings. As sort of a kick off to more good things to come, we put on an art show as part of Artwalk Gainesville and 352Creates on February 26th. "Sacred Geometry: The Language of the Universe" consisted of artwork created and produced by our own team and also featured a few live painting demonstrations. We utilized our in-house production capabilities to quickly produce all the pieces for the show. Some materials that we used included acrylic panels, cut color vinyl, and stretched canvas prints. Our neighbors LEJ Pretzels offered tasty treats and Rabble Housers also had an open house on the same night. We are so excited to be a part of the growing community on South Main and we cannot wait to observe and participate in the continued development and rejuvenation of the area. We’ll be hosting more events soon, so please check out our facebook to stay posted on upcoming events! CTD Holdings, a biotech company based in Alachua, Florida first approached neutral7 to assist in developing a visual brand for the 18th International Cyclodextrin Symposium (ICS 18). ICS 18 is a biennial meeting where academic and industry researchers from around the globe come together to discuss the latest developments in cyclodextrin research and applications. Attendees include biologists, chemists, material scientists, and engineers. In meeting with CTD Holdings we learned that although the International Cyclodextrin Symposium is a well-established event, there has never been a consistent visual brand. CTD Holdings was positioned to develop a brand which could potentially be carried on by future organizers of the Symposium. 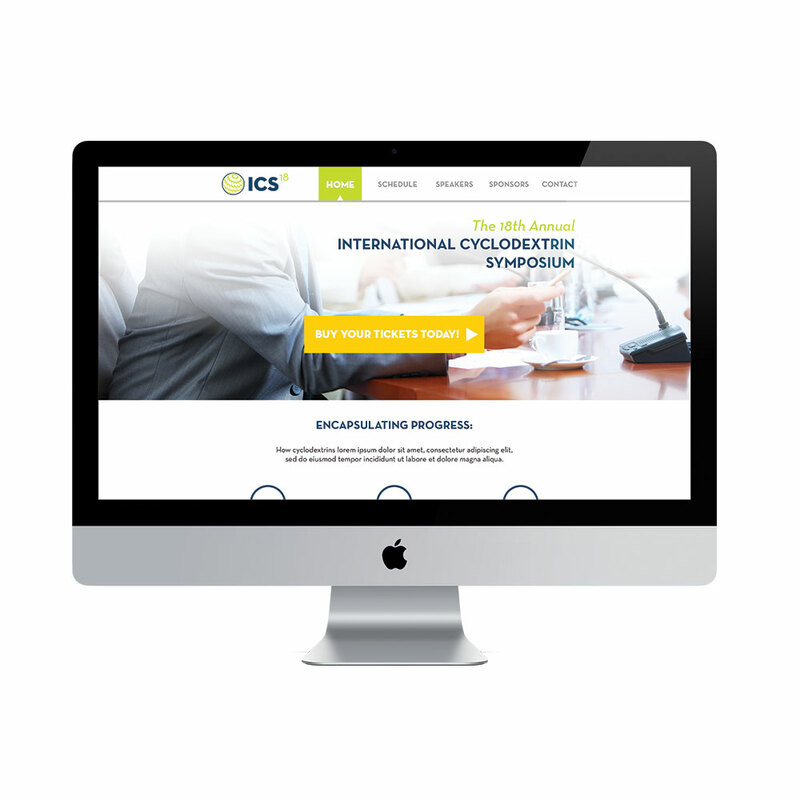 ICS 18 required an engaging brand that would draw audiences from around the globe and also help solidify CTD Holdings’ positioning as an industry leader within the cyclodextrin community. The brand should engage and connect the sought audience while expressing the boundless possibilities of cyclodextrin applications. The brand should reference CTD Holdings to further solidify the company’s position as a leader within this community. The brand should be flexible and adaptable so that future organizers can easily carry it on. Engage and unify the audience and industry through the use of a static universal industry symbol and set up consistency rules for the future. Use this symbol as the focal point in the ICS 18 logo which would predominantly showcase the event taking place state of Florida. We developed a static brand that would be unchanging and could be utilized for future events. The static branding consists of an icon and typographical element that unify the industry under a single mark. Next we created an evolving brand for ICS 18, utilizing the static brand elements in tandem with materials specific to the event itself. While the look and feel can evolve with each subsequent Symposium the elements of the static brand will always be present. Looking for the perfect material or media for your next project? Check out some of the materials that we offer below. If you still have questions, contact us! When the Gainesville Chamber of Commerce came to neutral7 with the task of branding the iG Forum & Business Showcase, we knew we wanted to create something clean, modern, and engaging. The theme for the event is community, partnership and forward thinking. The brand mark, designed by Albey Coronel and Dragan Radovanovic, balances the theme of connectivity and innovation that is so integral to the continued growth of Gainesville. The logo mark includes a power symbol linked to a series of circles, when combined the shapes mimic the Google icon for sharing to symbolize the strength of collaboration. Sharing is power and innovation results from the step by step evolution of ideas and concepts when creative thinkers come together. These forms paired with clean and elegant typography symbolize the creativity, synergy, and progressive thinking that will propel Gainesville to global recognition as a hub of innovation. Designer Rick Bales carried these themes cohesively across the printed collateral for the event, creating elegant invitations, envelopes, and an event program. Neutral7 has worked with the team at Tobacco Free Alachua for many years. From the development of their logo to the implementation of tangibles and printed products, we've created a wide range of deliverables for the non-profit organization. Throughout our relationship, the needs and goals of the community partnership have evolved. We were approached to collect all of the diverse products and designs into a single, unified guide. Because of the complexity of the marketing materials, we gave the team a comprehensive breakdown of the categories of brand elements. Our first focus was to outline the identity guidelines. A logo, after all, is only as good as it's execution, so we wanted the TFA team to have all of the tools at their disposal to ensure the brand is represented in a cohesive, professional fashion. Tobacco Free Alachua is an affiliate of Tobacco Free Florida and is funded by grants through the Alachua County Health Department and Florida Department of Health. We included guidelines on the positioning and proportion of these marks together to ensure a clean, organized look. In addition to the "do's and do not's" of the brand, we included a comprehensive color guide for all types of digital and printed production. We then put together an arrangement of all of the graphic elements that are used in the Tobacco Free Alachua materials. This toolkit contained a ready-to-use pattern for backgrounds as well as building and cloud illustrations for use in presentations and marketing pieces. Our final segment of the guide focused on tangibles. We included a collateral design presentation along with rationale for the signs, static clings, and plaques we've produced for their community partnership campaign. Lux13 gets the luxury treatment! Lux13, a newly constructed luxury apartment complex, contacted the team at neutral7 with a series of unique projects to promote their grand opening. We love working on endeavors of a larger scope, so we got to work designing a suite of functional and professional graphic products. Our first order of business was to create a branded lobby sign. The marketing team at Lux13 had installed a gorgeous wood paneled backdrop in their reception area, so we wanted to feature the brand without obstructing a huge segment of the wall. The answer; custom cut brushed metal graphics. In addition to the cut lobby logo, neutral7 pitched a series of frosted window graphics for the entrance doors and various facilities around the property. The lobby area of the clubhouse building featured a beautiful vaulted atrium. The n7 team produced a series of oversized, rigid metal prints with brushed metal standoff hardware. Talk about making an entrance! In addition to the permanent installations made throughout the property, n7 developed a series of sales materials including step & repeat banner stands, custom turn boards, rigid guerrilla marketing stencils, and more! Imagery is powerful. Color, texture and composition all have a drastic effect on the atmosphere of a space. Nowhere is this concept more poignant than the Liminal Bell project installed at UF Health Davis Cancer Pavilion. The UF Health team came to neutral7 with a specific vision for the look and feel of their installation space. We got to work producing and installing a radiant, full color wall graphic featuring a lush bamboo forest. The perspective of the photography really opens the space, giving the impression that one could walk into the seemingly endless mist. "The word “liminal” is derived from the Latin “limen,” meaning “threshold.” At the completion of each patient’s cancer therapy, the patient is standing at the threshold of treatment and recovery. When patients ring the bell, it symbolizes transcendence into a life after cancer care." You can read more about UF Health and the Liminal Bell project here. We love working with UF Health! Recently we were contacted to produce and install some large format graphics for the Congenital Heart Center. Materials included custom cut acrylic wall prints with brushed metal standoff hardware and printed wall wrap graphics. Artwork was provided by Reyna Collura and Evan Poirier. Check out this great, versatile product from neutral7: Max-metal signs! This lightweight, highly-durable material can be cut to any shape and size and is perfect for outdoor signage use. Here at neutral7 we add a protective UV laminate to keep the finish pristine in the Florida sun! It is also available in brushed silver! Whether your project needs are small or large, circular or square, we’re certain Max-metal signs will be perfect for your business or property. Contact us to learn more about our products! Social 28 gets a fresh new space! First impressions are everything! When we were approached to design the graphics for Social 28's leasing office, we knew we had to create a striking aesthetic that reflected the community's upscale feel. Based on the company's existing brand manual, we crafted a 2015 leasing campaign consisting of both exterior & interior graphics and large format printing. The exterior was designed using the strikethrough elements included in their branding guide. These lines mimic the dashes found in the logo and tie the pieces together under a unified look. We carried this methodology through the rest of the project. Once inside, prospective clients are greeted by an oversized wall graphic of the University/Downtown area. This large map was juxtaposed with large frosted acrylic prints featuring full color property renderings. neutral7 also developed a series of iconography to be included on color coded geotags highlighting the area's many restaurants, bars, shops, and university buildings. The geotags were printed on a low-tack vinyl for easy application and removal. Feeling inspired? Let's get to work! Not all signage is created equal. Sometimes a project requires a custom touch to make the aesthetics feel just right. 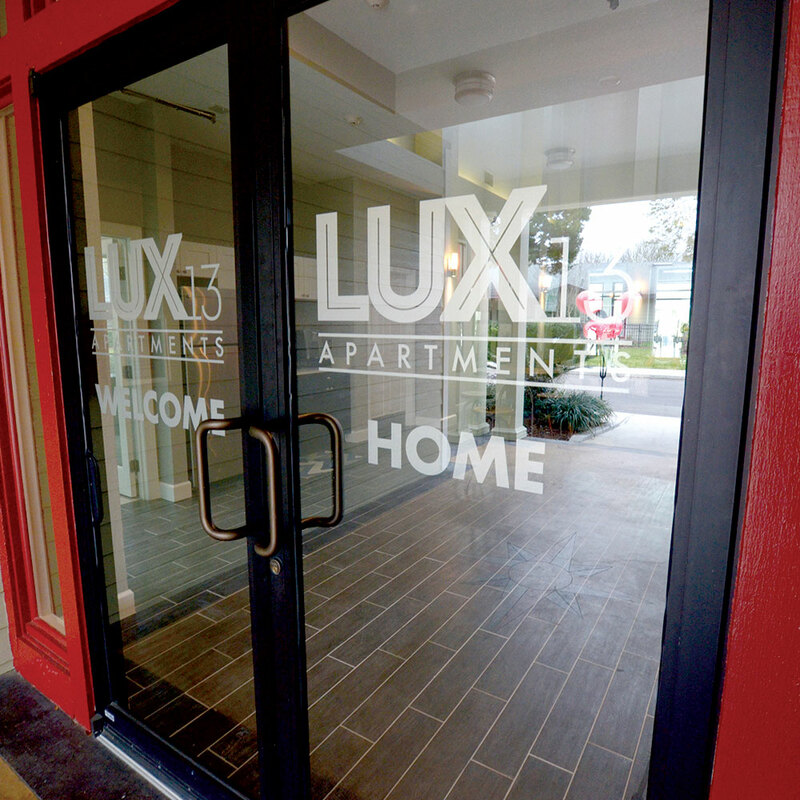 For Canopy Apartments, we developed backlit lobby signage and custom acrylic light box fixtures that really shine! One important factor when considering updated signage is the current aesthetic. Canopy's established branding features striking orange elements alongside dark blues and black. The team at Canopy also requested custom fit light boxes for their courtyard pillars. These illuminated cases were produced with a backlit tinted film and block-out strips for a unique textural effect. Here at the shop, we're no stranger to large format graphics, so when MIG contacted us to produce graphics for the Envision Alachua event space, we started up our printers and got to work. The focal point of the project was an oversized, cut wall graphic featuring the initiative's logo. A few ladders here, some elbow grease there, and the multi-paneled design was completed. The next segment of the project was a series of double sided hanging banners. The prints were attached with s hooks and chain and really gave the vaulted space an open air feel. We also produced a 20ft, double-sided sidewinder display that really tied the room together. The full color photography gave a pop of color to the room and provided a level of engagement as guests mingled and explored around the installment. Various events were held in the space to promote community conversation around the initiative. The event pictured below was coordinated by Tiffany Williams of Williams & Co. Events. So you are ready to take your brand to the next level with some printed materials. But what file type should you send; what resolution should it be? And what the heck is vector format? Over the years, we have designed, printed and produced more graphics than we can count and we have heard the same questions over and over. We know the answers, and are always happy to help our clients through the process. But, we wanted to share the knowledge, so we compiled the most common questions we hear and created a quick resource guide with all of the answers. This guide goes over some of the basics of design for print production. Check it out and learn the print-lingo like a pro! Save the guide as a reference for future projects or share it with your marketing team. And if it is still all Greek to you, remember, we can take your project from idea through design and production to installation, in-house. We’ll worry about the details so you don’t have to. click the image to see the guide! This post was originally published on Tuesday, July 29, 2014. We love handmade goods! In this age of industrialization and uniformity, the craftsmanship of a one-of-a-kind handcrafted product often goes overlooked. That's why the team was so excited when neutral7 was approached to develop an identity design package for jewelry maker Bobby Foxx. Bobby's use of natural crystal and stone elements means that no two pieces are alike, giving each an identity (and story) of its own. From the start, we knew that the use of geological elements would be integral to the look and feel of the brand. 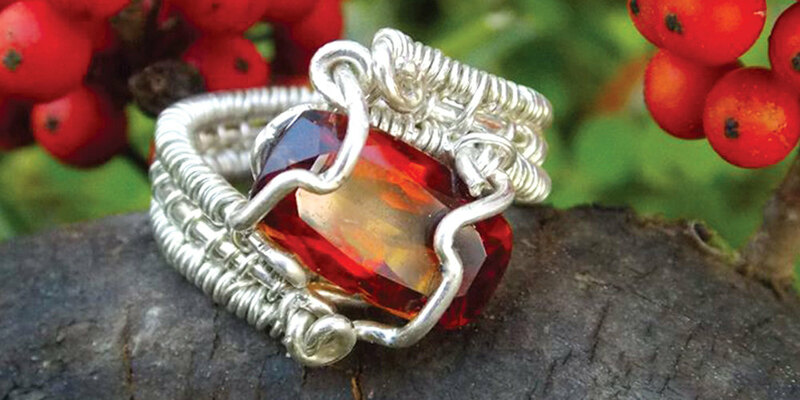 Bobby's work puts the natural world front and center, framing beautiful stone and cut gems with ornate metalwork. We took that same "front and center" approach to heart when considering the presentation of the logo. We started with the framework, the architecture that would house these natural elements, and built from there. The brand's previous materials featured imagery of foxes to tie in the namesake and give a visual cue for the identity. We sought to marry these elements in one harmonious mark. As with the jewelry itself, it was necessary that the mark be flexible and organic to shine in a variety of applications. Our approach featured a strongly angled fox icon reminiscent of cut gemstones. The identity includes a bold, geometric single color mark as well as full-color amethyst and emerald variations. An inverted single color version is striking against full-color photography. With the aesthetics developed, we carried this "nature first" mantra into the packaging design and execution of the brand. Implementation included gift bags, jewelry boxes and tri-fold sales brochures. neutral7 also developed a photo-driven lookbook for the artist. This book featured photography by 2014 GFW Director of Photography Ashley Autumn and published by Gainesville Fashion Week.